I love this stamp set! The Work of Art stamp set from Stampin’ Up has endless possibilities. 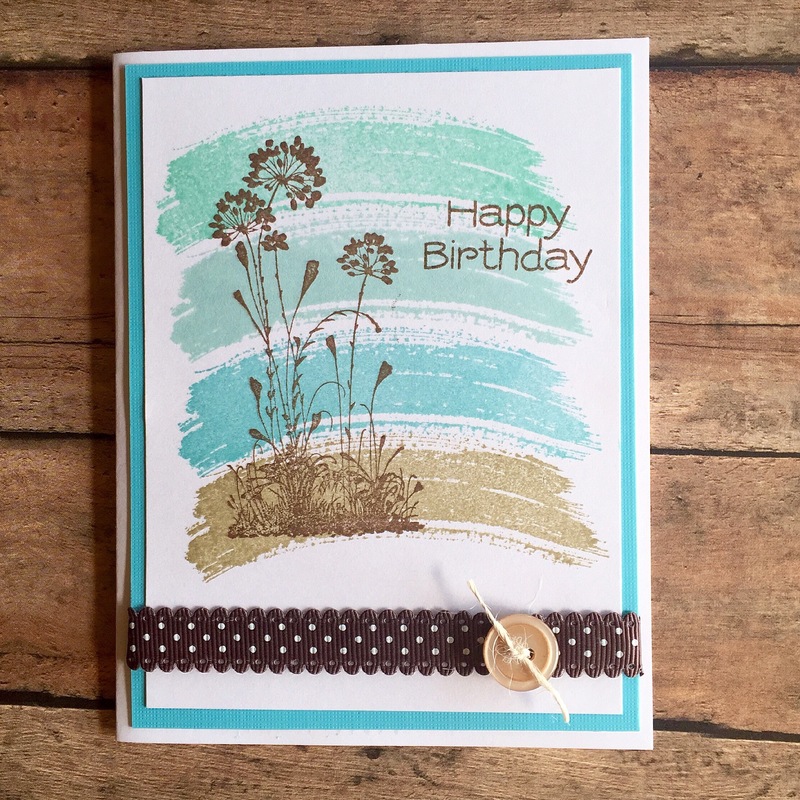 I paired it with flowers from the retired Serene Silhouettes stamp set (also from Stampin’ Up) to create this birthday card. Any solid flower image can replace the one I used to get the same effect if you don’t have this particular set. I stamped the large swoosh stamp 4 times on white card stock. In case you want to know, the colors I used from the bottom up are Crumb Cake, Baja Breeze, Soft Sky, and Pool Party – all from Stampin’ Up. I stamped the flowers and the sentiment over the swooshes using Rich Cocoa ink from Memento. I layered the stamped panel to turquoise card stock, added brown polka dotted ribbon, and attached the panel to a white card. To finish it off, I tied a button with twine and attached it over the ribbon. 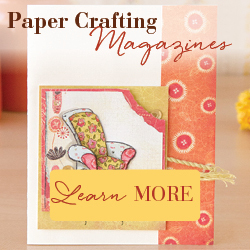 This is a great card for so many occasions – just change the sentiment or colors to make it just what you need! Stay tuned and I’ll share a Christmas card using the same basic sketch as this card later this week.